Bitkee is a very interested idea created to safeguard your investment in cryptocurrencies with a customizable laser engraved physical “paper” wallet. Bitkee allows customization of the material, style, content, and is ensured to be durable and dependable. You can order these keys in the form of a credit card, keychain, and even dogtags! The cards are created with durability in mind. If you’re involved deeply with cryptocurrency discussion, you’ve probably heard of paper wallets being lost and destroyed due to water, fire, and other types of damage. Bitkee is trying to solve this problem by offering metal engraved wallets that will stand the test of time. Scannable QR codes that are laser engraved on your Bitkee. 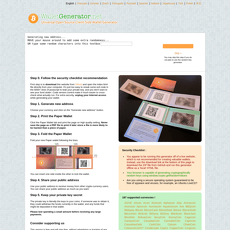 Encrypted private key generation methods used to ensure maximum security. High melting points including 1650C on Titanium, 1100C on stainless steel, and 650C on anodized aluminum. Corrosion resistance across all three metal options. Of course, titanium is the best! All of their packaging includes wax sealed casing. The website is super easy to use and includes the creation of keys for 12 keys thus far (9/3/2018). You can use a key you already have access to or Bitkee can generate one for you. Pricing starts at $40 for the card, $20 for the keychain, and $25 for the dogtags. Yes, you can purchase via Bitcoin! 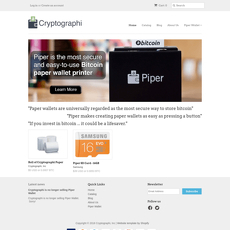 Offers a really neat alternative to traditional paper key solutions. No cons. 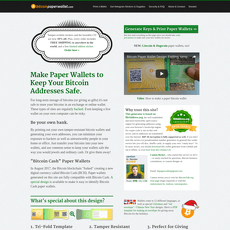 This project is great, the website is easy to use, and the products consistently receive good reviews.